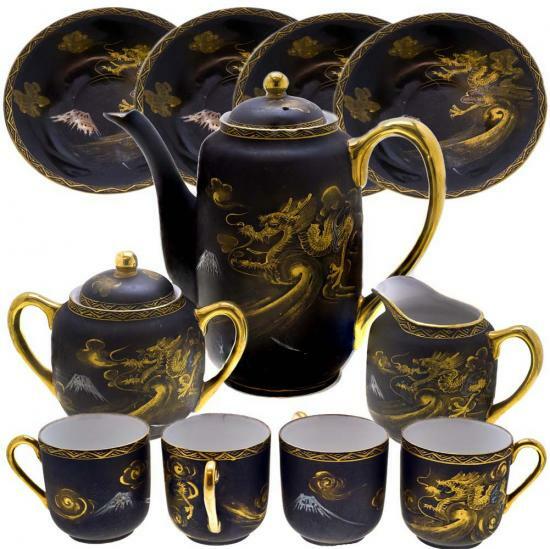 Stunning 11 Piece Kutani Coffee Set. Includes 4 cups 4 saucers pot (with lid) sugar (with lid) and creamer. Pot 180mm High (inc lid).